When Gabe and I decided to go to Europe for our honeymoon, we had no idea I would be running the NYC Marathon 3 weeks upon our return. I was invited to be part of #teamasics after all of the planning had taken place and my first thought was, how am I going to train on my honeymoon? I did not want to spend half of my days in Europe doing long runs. Luckily for me, everywhere we went was a walking city and although we registered for bus tours in each city, we chose to do everything by foot (with the exception of London). While we ate pasta and/or pizza everyday while in Italy and drank enough wine for a small army, we both lost weight during our trip. We averaged 10 miles or more a day in each location and did a lot of climbing. I already posted about our marathon training in Paris and hiking in Cinque Terre. 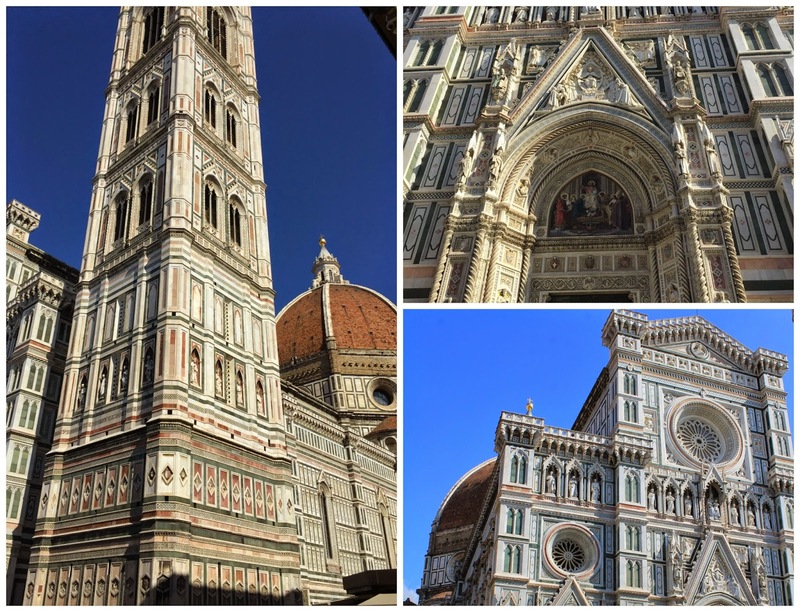 Today is all about Florence (Firenze)! I must state, Florence was the city I was least excited for and I continually told people that we were only staying there to visit other areas of Italy. If I could go back in time, we would have stayed in Florence for at least a week, taking the train to the multiple other areas in Italy we visited and used it as our "hub". 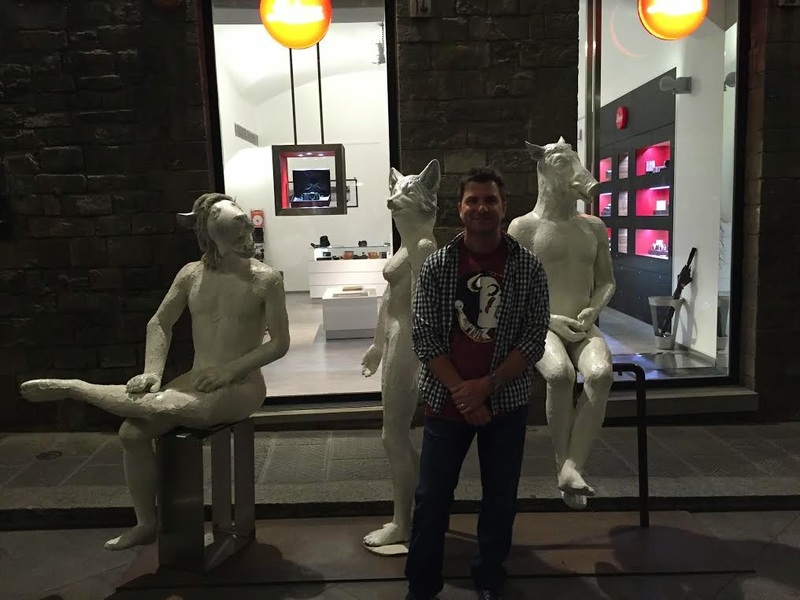 Florence was my favorite city in all of Europe. We started off in Florence lost. This was the day following our adventure in Venice, where we stayed lost the entire time. I do not like walking around with a map and believe this is a trait anyone has who grew up in a highly tourist area. 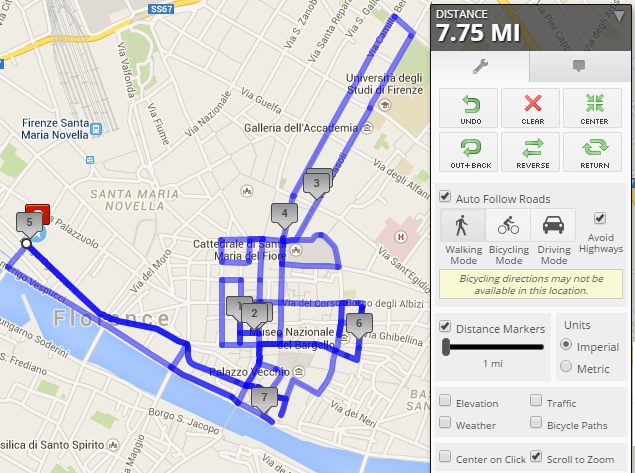 After I got over myself and opted to use a paper map for directions vs. what my phone was showing, Florence became very easy to navigate. On our first day in Florence, we hit the major sites to see - the Ponte Vecchio Bridge, Accadamia and Duomo. We bought our tickets for Duomo in advance through the museums website. It was 10 euro per person which got us access to Brunelleschi's Dome, Giotto's Bell Tower, Baptistery of San Giovanni and Crypt of Santa Reparata. Opera Museum was also included but it is closed for renovations until this November. 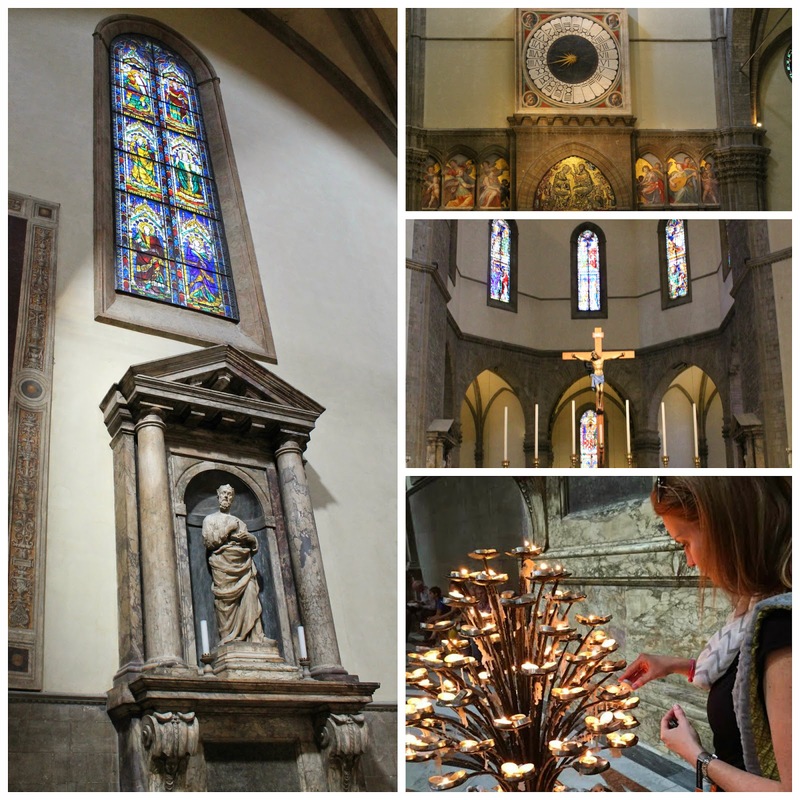 Nothing can prepare you for the beauty of the Cathedral or Vasari's fresco. While we were on our honeymoon, one of our good friends lost her father to cancer. Both Gabe and I grew up with her family and we wanted to light a candle in his honor. I also lit a candle for my father, who had gotten sick 11 years to the date we were at the cathedral. Since I was lighting candles's for Dad's, I also lit one for Darlynn's and Ally's. Unbeknownst to me, the following day marked 15 years since Ally's Dad had passed away. We then went downstairs to vist Santa Reparata Crypt which is estimated to have been built in the 6th century. 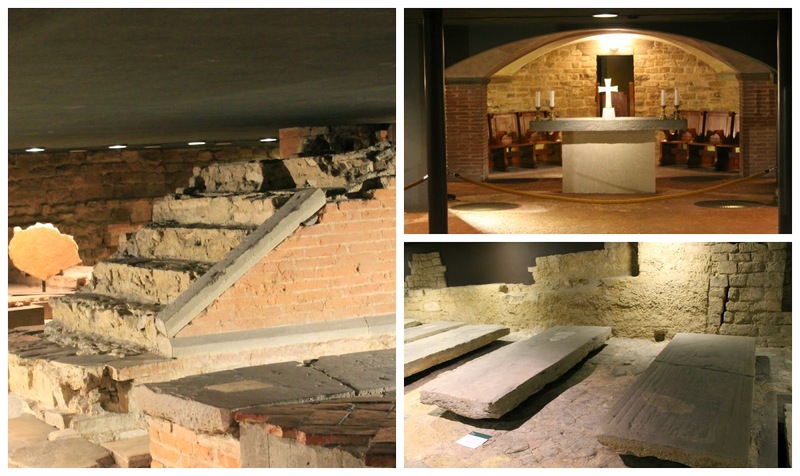 The crypt conserved ruins of the original cathedral along with Roman, Medival and late medival finds such as tombs, fragments of pictorial decorations. It was time to stand in line to climb the Duomo. That is the one part you cannot get included in the tickets bought from the museum. We stood in line for about 30 minutes and during that time, I noticed my fitbit was gone. I was distraught and tweeted just to whine about it. I wasn't expecting fitbit to respond or replace something I lost on my own. Talk about great customer service - I had a brand new device waiting for me at home when we got back to the states. I am here to tell you, climbing the Duomo is NO JOKE. They say it is 463 steps. HA. Some of those steps are equivalent to 3 steps in the US. It's narrow, it's claustrophobic and I was losing my mind. However, when we got to the top, the jaw dropping views was worth me nearly having a panic attack. As the saying goes - what goes up, must come down and I was not looking forward to that. I kept telling myself how good these stairs were for the upcoming marathon. I also kept telling myself that I would be rewarded with wine the second we exited the building. We had to rush after we exited to get to our que time at Accademia Gallery. When I saw the line to get in the museum, we were both very happy that the tickets were bought in advance. We got in and saw some amazing sites but were both in awe when Michelangelo's David came into site. It was amazing being able to see such a famous piece of art. After seeing many beautiful pieces of art, Gabe and I headed back to the hotel so he could change into his lucky FSU shirt (FSU has not lost a single game since he bought this shirt....). I did not make dinner reservations and were turned away location after location for dinner. I blame the shirt. We ended up eating at a mediocre pizza place that was in close proximity to an American sports bar, which was our final destination. We watched some college football, met a fellow American's, drank a lot of beer and had a blast. We walked close to 8 miles that day along with climbing up and down the Duomo (375', 463 steps each way) which I had no way of tracking. The following morning was our Cinque Terre hike and we had to meet at 7am for the hike. I am counting down the days until we find ourselves in Florence again. Those are some incredible photographs! 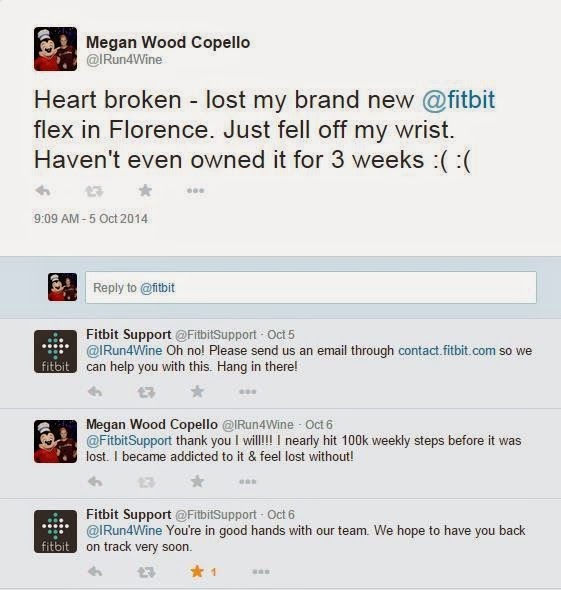 And that stinks about your Fitbit Flex :( Hopefully they are able to help you out! Thank you Rochelle! Fitbit replaced my missing Flex :) I got the new one the day we returned home from Europe. Great customer service! !